Rollin.io is a gambling website where you can make bets and play dice. When you first enter the site it looks kind of plain but it has some really nice LED features that makes the website unique and clean. The site has a nice house edge and everything else you would expect from an Bitcoin dice game. The thing that makes Rollin.io so unique is that you do not have to make an account like you have to do on most of the other gambling sites. Instead of that you are given a URL link to get access to their account balance. Deposits are extremely fast, it only takes one confirmation before the Bitcoins are credited to your account. The same goes for the withdrawals as well. Even if you do not understand how it their games work, there is a complete explanation on there website that will help you step by step. The team behind Rollin.io spent their time well by an extensive and clear informationbase. You can play by entering the amount of Bitcoin you want to bet and then selecting the number that you are predicting, that gives you X chance to win. The profit will automatically adjust accordingly. Once you are ready to roll the dice click “roll hi” or “roll lo” depending on what you think which number it will be. The betting menu allows users to roll the dice in two different ways; one by manually by clicking with the mouse or by using keyboard shortcuts. If you have any problems or issues that you are facing you can always send an e-mail to their support team. There is however, also a chat available where you can share tips, other information and ask for help if you need any. The only downfall in my opinion is that there is only one currency that you can use and that is Bitcoin. I am not saying that Bitcoin is a bad currency but it would be nice to have multiple currencies, give users a choice. This would also attract more people to this gambling site. Maybe they are going to implement this in the future. 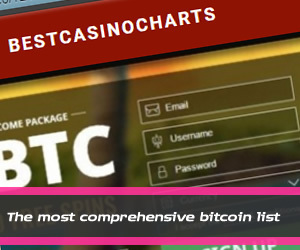 What needs to be said is that not many casino's do accept altcoins, so in that regard it is understandable. If you are searching for a new kind of Bitcoin dice game; Rollin.io is the place for you and you will have to look no further. Rollin.io offers players a unique interface which leads to a different kind of gambling experience. So for the people that love to gamble and want to make quick money this is the site for you. The game is easy to understand and you can win money in no time. I suggest that you try it out, and no you will not be dissapointed.